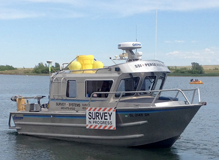 Survey Systems has assembled a versatile hydrographic platform capable of meeting our clients’ needs. Our experience in hydrographic and traditional land surveying allows us to identify specific site difficulties and plan accordingly to ensure we mitigate obstacles and deliver the level of accuracy that our clients have come to expect. No matter the size of the project, SSI has the tools and experience necessary to ensure our clients’ projects are a success. 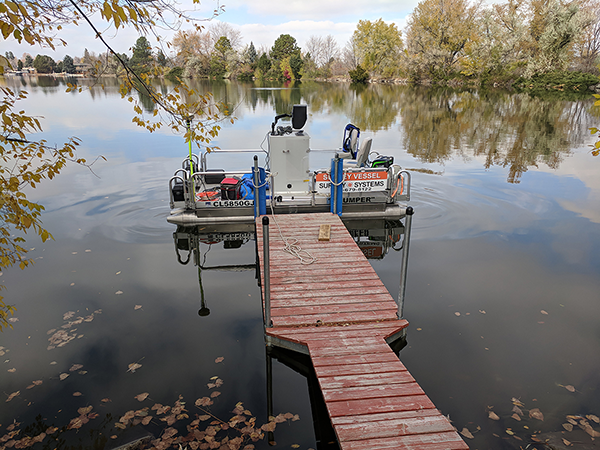 Our survey vessels range from a twenty-three foot, all aluminum Armstrong marine boat, fully equipped to handle single-beam and multi-beam systems, to a twelve-foot AlumaSport pontoon boat for smaller lakes and reservoirs. 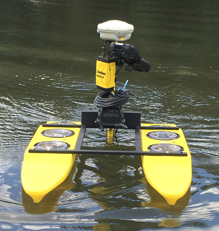 In addition, SSI utilizes a Hydrodrone Bathymetric RC boat ideal for shallow, not accessible areas, and can be operated by land or by boat. Survey Systems can create a final deliverable on-time and on-budget. From Hypack®, Hysweep®, AutoCad Civil 3D® to Cyclone®, we utilize the most efficient tools. Whether the client needs a stage capacity table, dredge pay quantity, hill shade model or underwater object detection and recovery, SSI can deliver in any format. In addition, our survey crews have access to GPS, Robotic Total Stations and ATV’s, tools necessary for today’s surveying needs. Our experience in establishing geodesy, large control networks, as well as contracting photogrammetry and LiDAR, ensures that our projects are collected on any site datum necessary.